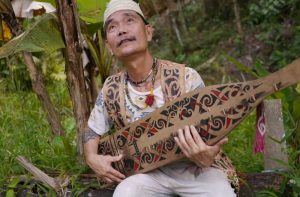 One of the most commonly seen musical instruments in Sarawak, the sape, pronounced “sa-peh”, is a traditional lute of the Orang Ulu community or “upriver people” of central Borneo. The sape was once played solely during healing ceremonies within the rumah panjang (longhouses), but gradually became a social instrument that is used as a form of entertainment. The colourful jungle motifs that adorn the body of the sape mark this change in purpose. Carved from a bole of white wood which repels insects, the sape is a masterpiece of woodcarving. Initially, the guitar-like instrument measured less than a metre and had only two rattan strings and three frets. Today it is common to find sapes with three, four or even five strings. The strings – slender wires used in fishing rods – are held by movable wooden frets and are tightened or loosened using wooden pegs. There are specific compositions played on a sape for certain ceremonies and situations (marriages, births, harvest times, rain etc), which often differ from one sub-ethnic group to another. The traditional pieces, which have many variations, are passed down through the generations. Destination Asia Malaysia can arrange a meeting with Mathew Ngau Jau, a 66 year old Kenyah Ngorek (Bornean indigenous ethnic group from Long Semiyang). He is a professional sape performer, maker and teacher – and is one of the few community-recognised authorities on the instrument. Mathew welcomes guests to his home to showcase the making of sape and how it is played. Sarama is the rhythmic music that accompanies Muay Thai matches as well as the pre-fight ritual, the Ram Muay. The music is performed by four musicians each playing either one of two kinds of oboe, a pair of Thai drums or cymbals. Thai boxing is a combat sport of Thailand that uses stand-up striking along with various clinching. During the Ram Muay the tempo of the music starts out slow and stately to match the mood of the ritual. When the fight commences the tempo is increased as the fight moves along, becoming frenetic at moments of excitement during a match. 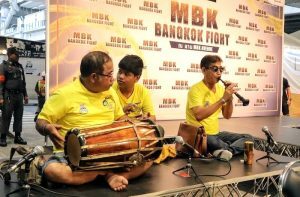 The music is a part of the atmosphere of a Muay Thai match and urges fighters to push themselves. The musicians don’t follow a written musical piece, instead they improvise the entire performance through years of mastering the art. During periods of inactivity such as between rounds or when a knockdown occurs the music is paused. It then resumes once the action is picked up on the signal of the referee. Muay Thai is unique in the sense that the action is accompanied by music so as to heighten the excitement. Although Thailand has never been colonized, it has been influenced by many surrounding countries. 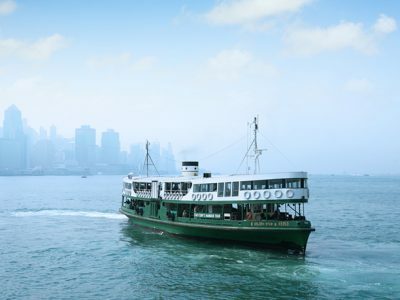 Thai music largely reflects its location between India and China, as well as its historic trade routes which included Africa, Persia, Greece and Italy. Traditional Lao music or Khen is performed on a handmade bamboo mouth organ that is unique to the Lao people. 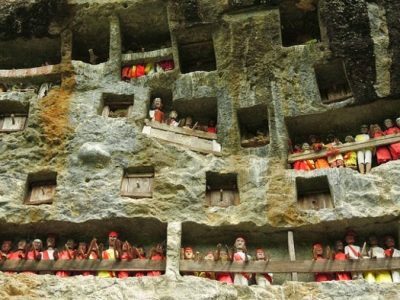 It has formed an important part of Lao culture and their identity for generations. 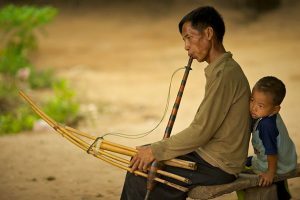 Traditional Lao music has its own distinct characteristics and features, often divided into two categories: classical and folk music. 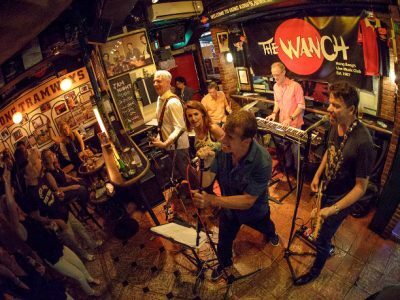 In Luang Prabang guests have the opportunity to experience the sounds of Khen music and meet with a local expert. 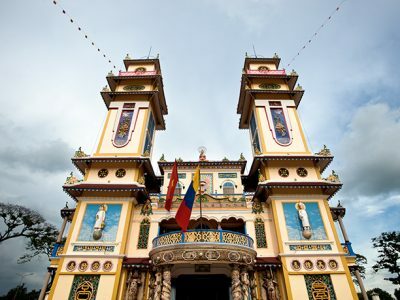 They can learn how to play commonly used notes in a half or full day class while gaining an understanding of how this music has become so important to the Lao people over the past 200 years. Alternatively, leave the playing to the experts and watch a live performance lasting one hour. The Laoshe Teahouse is named after the famous Chinese novelist and playwright Lao She (1899-1966), whose most famous work, Teahouse, vividly depicts the colorful lives of Beijing locals. Lao She’s teahouse was the first modern teahouse in China after the reform and opening up of the country in 1978 and is decorated in an old Beijing style. 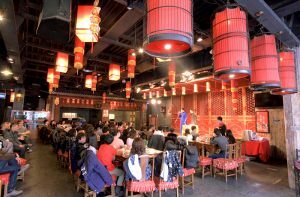 The teahouse is well known for a wide variety of cultural performances, which range from acrobatics and Peking opera to traditional music and comedy sketches. 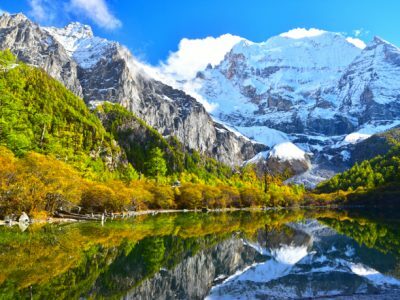 The traditional music performances offer a great introduction to some of China’s most iconic indigenous instruments, such as the two-stringed fiddle-like erhu, the flute-like guanzi, the lute-like pipa, an endless variety of drums and more.